Firetoys is a leading wholesaler and distributor of premium quality juggling, circus, fire spinning and aerial acrobatics equipment. We sell juggling and circus kit wholesale to retailers all over the world with a focus on the best customer service, communication, and a great range of high quality equipment. Firetoys Wholesale is available to retailers only. In order to qualify as a retailer you need to run a shop, an e-commerce website or a market stall. During the application process you will need to provide a valid VAT / TVA / IVA or equivalent tax identity as well as a Company Registration or equivalent number. Our standard juggling and circus range has no minimum order size. We do require that your orders are reasonably regular to maintain your wholesale status. 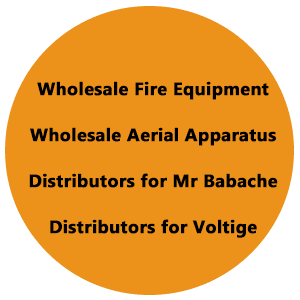 Firetoys is the official UK distributor for Mr Babache, the Swiss manufacturer who are known for their high quality, precision made juggling equipment. We hold vast stock of the best selling products from the Mister Babache range which we sell at competitive wholesale prices. This wholesale range includes Babache juggling balls, clubs, diabolos (including the Finesse G4 diabolo with triple bearing Evolution 2 axle and the ever popular children's diabolo, the Harlequin), cigar boxes, juggling rings and much more. We are the UK/EU distributor for the memorising and must-have festival/rave accessory - the FiberFlies PixelWhip. This top quality piece of LED kit comes with a life-time warranty. No poi/LED section is complete without this beauty. We are the UK/EU distributor for UltraPoi. This highly versatile and robust range of superbright LED poi and high tech glow sticks looks and feels so good to spin, you might just put the fire poi down! Comes with a lifetime warranty. We stock the ethically sourced and ever popular range of Ribbon and Spiral (scarf) poi from PyroPixies. On top of this you will find brands like JuggleDream, PaintGlow, Bicycle, KendamaEurope, Light Up and Juggle (also known as Juggle-Light), and Macaco Slacklines. The Firetoys brand is famous throughout the globe and is synonymous with durability, innovation and attention to detail. We do not sell budget equipment and we produce all our core items in the UK. Our props are built to last and come with up to 3 year guarantees from the final point of sale! The vast majority of our own brand equipment is handmade in our Brighton workshop from high quality materials. We also thoroughly test our kit both internally and at external independent laboratories to ensure the safety and durability of our props. Available at wholesale prices we have a large range of fire poi to suit any budget, extremely durable fire staffs, including the Fibre 3 contact fire staff with fibreglass core. Our full hula hoop range is also for sale in our wholesale catalogue and includes weighted fitness hoops as well as polypro and fire hula hoops. Other popular products include juggling scarves (CE marked), Mole-skin balls, Isolation hoops, and our simple but reliable range of affordable LED equipment. Firetoys also sells the widest range of aerial circus and acrobatic equipment in the EU wholesale. Most of our aerial apparatus is manufactured in house but it is sent to an external facility to undergo rigorous strength testing. All our wholesale aerial equipment is certificated and has a confirmed breaking load limit and working load limit. Among other aerial kit we manufacture and sell wholesale are aerial silks (aka tissu, fabrics) and the widest range of aerial rings (aka hoops, lyra) available in the EU - including our incredibly safe and versatile 0 point hoop. Aerial free ropes - covered and 3-ply (aka corde lisse), trapezes, aerial straps, and a full range of accessories including tape, hand loops, and swivels. We are an official distributor for ISC Wales - ISC Ltd is a world renowned company specialising in the design, development and manufacture of innovative engineered components and other 'Solutions in Metal'. We are the largest distributor of aerial yoga hammocks in the EU and we have the highest safety standards because of our experience with the aerial circus arts. We also have unique offerings you won't find anywhere else from Prodigy Aerial. Firetoys Wholesale is available to retailers only. In order to qualify as a retailer you need to run a shop, an e-commerce website or a market stall. During the application process you will need to provide a valid VAT / TVA / IVA or equivalent tax identity as well as a Company Registration or equivalent number. Minimum order size apply for aerial and reasonably regular orders are required to maintain your wholesale status. To apply, please email nick [at] firetoys [dot] com with your name, trading address, phone numbers, email addresses, website address, company registration and tax numbers. If possible, please also attach some pictures of your shop or market stall. We may be able to offer distribution deals to larger specialised warehousing companies who can redistribute our equipment to retail outlets within their country or region. These deals are very limited in number and are only available to established distributors who are able to place significant orders and hold large amounts of stock on their premises. For more information on distribution please contact us. If you run circus workshops or if you represent a university juggling society, a local council or school, we can give you some amazing deals. In order to help you select the most appropriate equipment, one of our team can go through your requirements and help you assemble a tailored package. Discounts for schools and councils are variable and depend on the items you are ordering, the size of the order and the regularity of your orders. Credit is available to schools and councils on provision of a valid purchase order number. In order to qualify for these unique offers you will need to supply us with proof of your status or an email from your company email address. If you have any questions regarding Firetoys Wholesale, please contact us.